Your daughter is heading out in spray-on shorts and a belly-top which shows off all of her wobbly bits. Smile and say nothing. Never comment on your daughter's weight. New research has found parents who make remarks about how their teenager looks can cause serious long-term damage. The study found parents who told their daughter she was overweight could leave her unhappy with her size for the rest of her life. Women who remember their parents' comments about their weight are more likely to be fatter as adults. Body image dissatisfaction is a risk factor for eating disorders. Girls are under enough pressure from society giving them an impossible view of what 'beautiful' is. With one click of a button, vulnerable and impressionable young girls are able to access millions of images of 'perfect-looking' people. The study, published by the 'Journal of Eating and Weight Disorders' asked over 500 women between the ages of 20 and 35 about their body image - as well as finding out how often their parents made remarks about their figures. Both healthy and overweight women who remembered their parents' comments were less satisfied with their weight as an adult. Although those with a healthy body mass index (BMI) were found to be 27pc less likely to remember their parents' comments than women who were regarded as overweight. The author of the study, Dr Brian Wansink, professor and director of Cornell University's Food and Brand Lab, described parents' comments as having a "scarring influence". Worryingly, he said that it wasn't the amount of comments made, it was any remarks at all. "A few comments were the same as commenting all the time. It seems to make a profound impression." This is by no means the first study to link parental attitudes to children's weight problems and issues around food. However, the findings highlight the worrying fact that a couple of casual, and often well-meaning, remarks can be so damaging. It seems parents can no longer comment on their children's appearance at all - good or bad. Parents should obviously avoid criticism, but now they are also being warned that gentle teasing and even positive statements about their daughter's looks and body shape are potentially harmful. As for rewarding good behaviour with food, this is a no-go area too. Apparently, by doing this we are increasing the likelihood that our children will grow up unhappy with their bodies. I am now feeling guilty thinking of all the times I've given my young kids 'treats' to keep them quiet or praise them. Have I caused them untold, lifelong damage? It's a sobering thought. Another no-no is for a parent to comment on their own weight. I researched eating disorders, particularly anorexia, for one of my novels and all of the experts I spoke to said parents should never refer to their own size, as this sets a bad example. What if your child is overweight and heading towards obesity? Then what should you do? Still say nothing, even if their health is at serious risk? 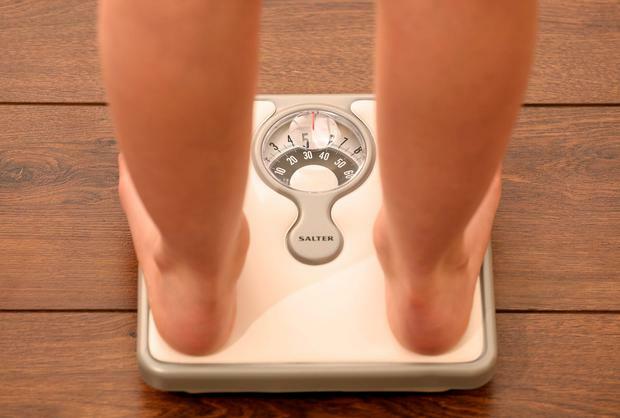 Some 26.5pc of Irish girls and 16pc of Irish boys under the age of 20 are classed as overweight or obese. Should you really stay silent if your child is unhealthy? Being overweight can also lead to teasing in school and low self-esteem. You may be able to control what you say to your child, but you can't control what goes on in the schoolyard. Overweight children are more likely to be teased or bullied. Isn't it your job as a parent to make sure your child is happy and healthy? So what do you do if your child is overweight? How can you deal with it if you can't talk about it? It's a minefield for parents. No one wants to upset their daughter or, God forbid, give her a complex about her weight that could last a lifetime. So parents are torn between saying something that will upset their daughter and potentially trigger an eating disorder, or saying nothing, which could lead to a long-term health problem. The experts suggest we wait for the child to bring up their weight issue and then support them when they do. Focus on the eating patterns of the child and not the actual weight. We should lead by example too. Cut out sugary food in the house, use appropriate portion size at mealtimes and encourage more physical activity. The solution is for everyone in the family to try to lead a healthier lifestyle. More fruit and veg, more exercise and zero chat about weight or size should help parents raise healthy, happy daughters with positive body images. Now I'm off to hide the chocolate biscuits and brace myself for a revolution when I offer my lot an apple as a 'treat'.